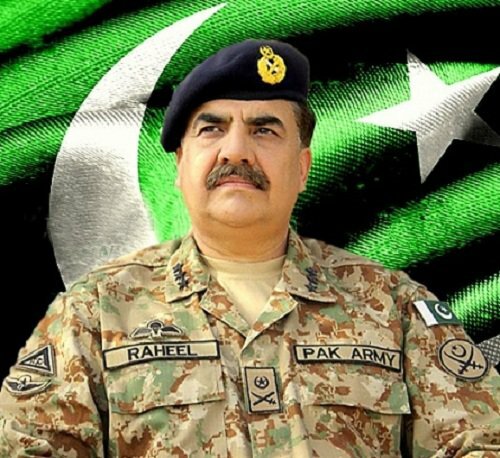 PESHAWAR June 14 (APP): Chief Of Army Staff General Raheel Sharif and other senior Army officers including the Corp Commandar Peshawar Tuesday attended Namaz-e-Janaza of Major Ali Jawad Changezai who embraced Shahadat in the unprovoked firing of Afghan forces at Torkham border in Khyber Agency. Major Ali Jawad Changezi who got bullet injuries on in the firing incident and was brought to the Combined Military Hospital Peshawar on Monday but he succumbed to his wounds. The funeral prayer of the Shaheed officer was offered at Peshawar Garrison. Chief of Army Staff, General Raheel Sharif, Corps Commander Peshawar and senior military and civil officers attended the funeral prayer of Shaheed Ali Jawad Changezi. Meanwhile, Governor KPK, Engr. Iqbal Zafar Jhagra expressed profound grief and sorrow over the martyrdom of Shaheed Major Ali Jawad and termed his sacrifices in high esteem. The entire nation would always remember the sacrifices of our valiant security forces and Pakistan army, the Governor said. The Governor also expressed sympathies with members of the bereaved family and prayed Allah Almighty to grant them courage to bear this irreparable loss with patience and fortitude.